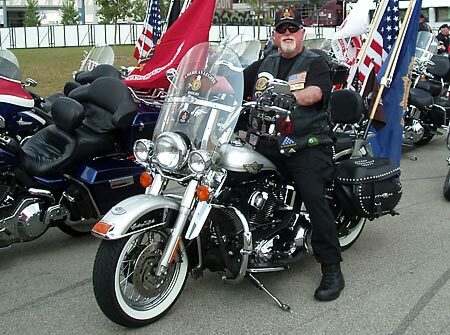 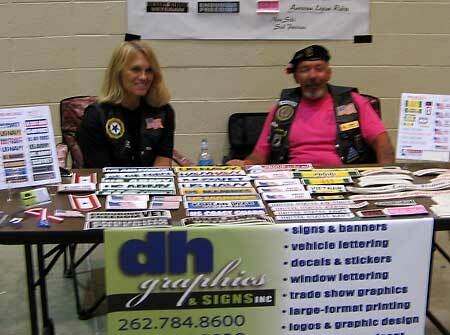 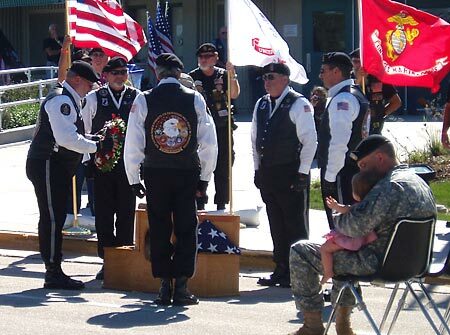 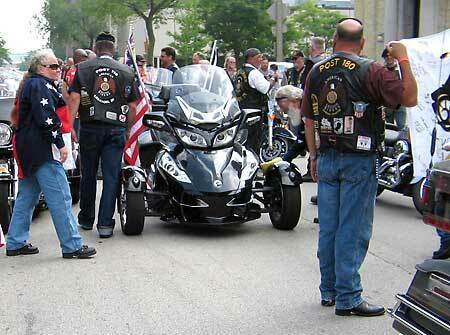 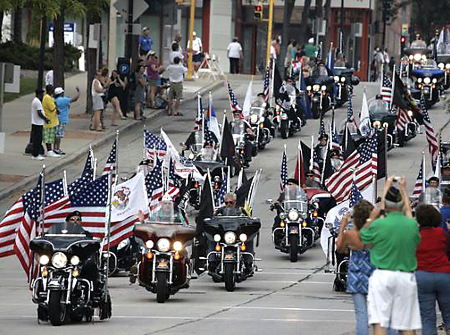 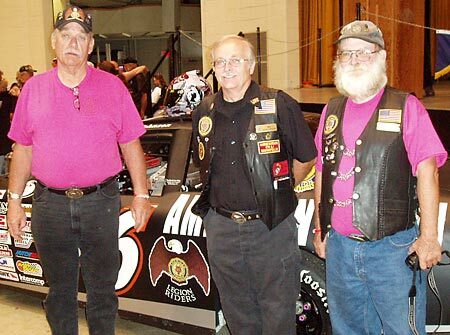 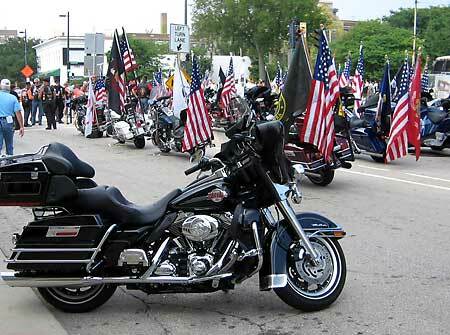 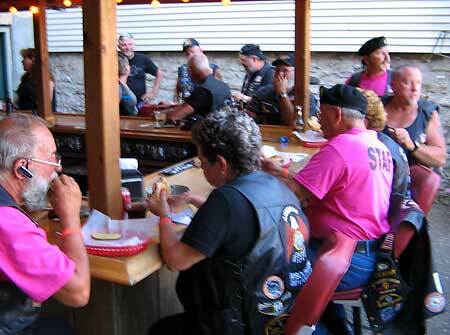 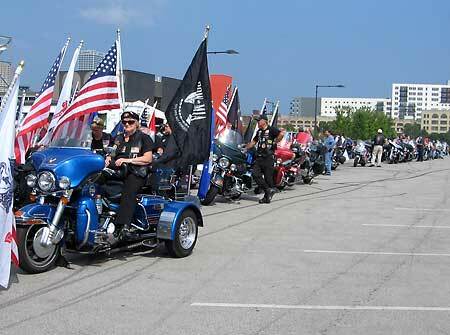 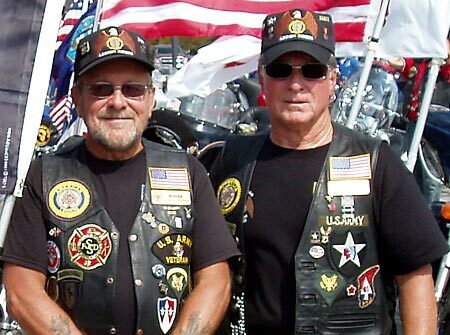 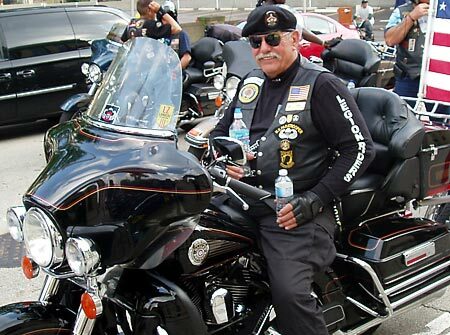 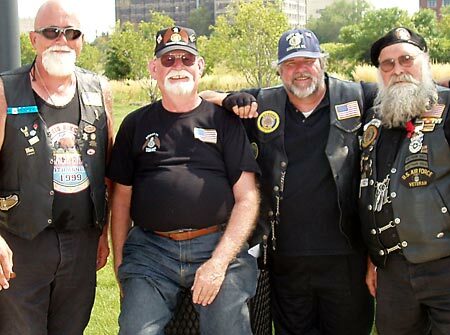 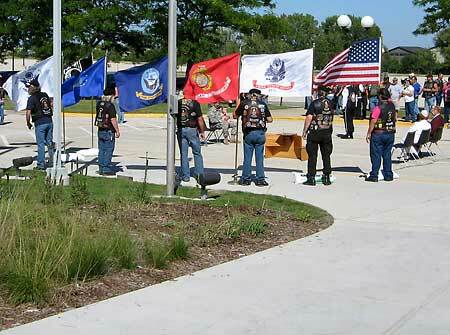 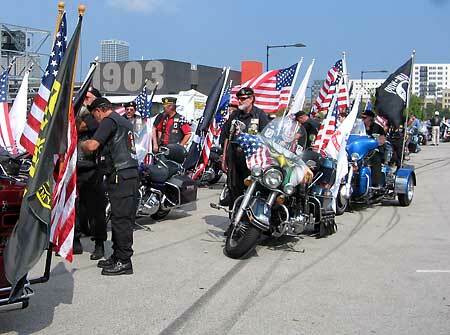 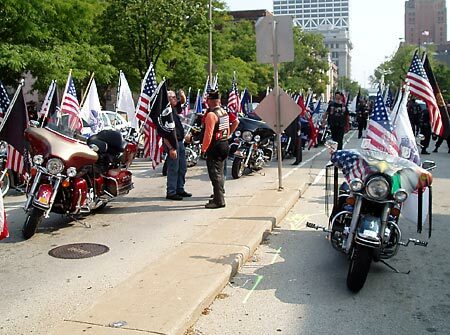 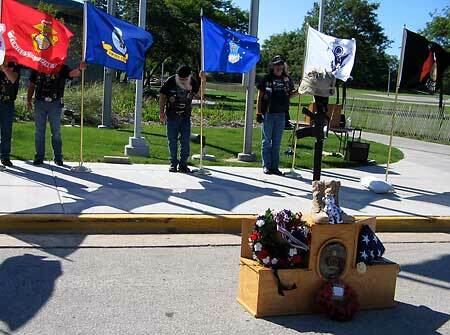 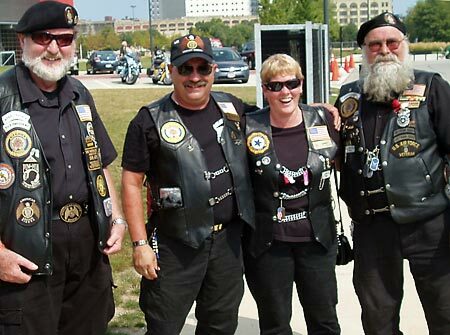 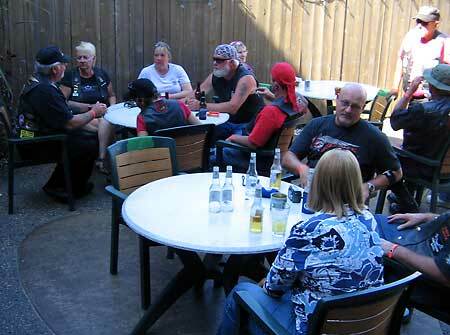 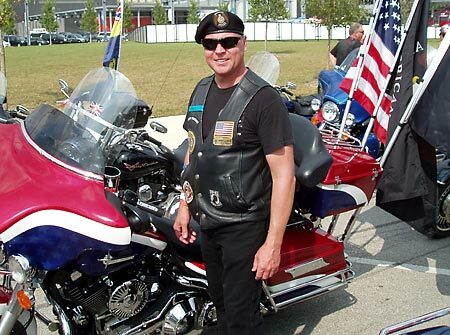 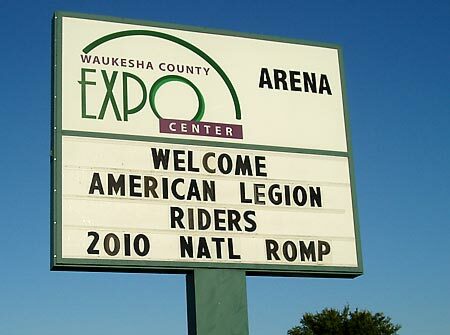 The Wisconsin American Legion Riders hosted the 2010 National ROMP at the Waukesha Expo Center. 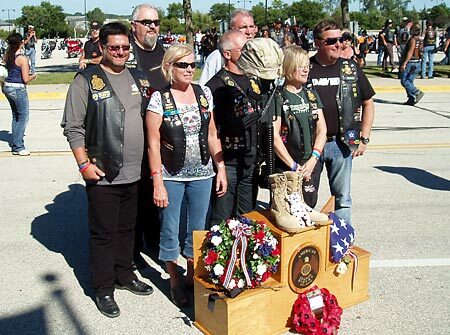 Riders from all over the nation along with special guests from England The Royal British Legion (Riders), attended the three day event. 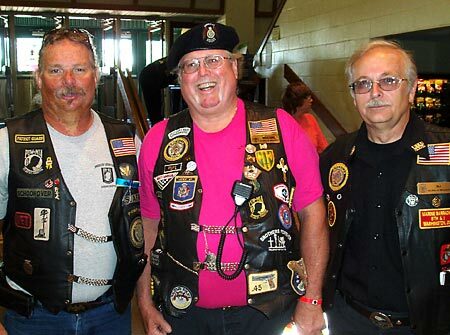 The ROMP was filled with games, good food, and camaraderie and was capped off by the riders participating in the American Legion National Convention parade on Sunday. 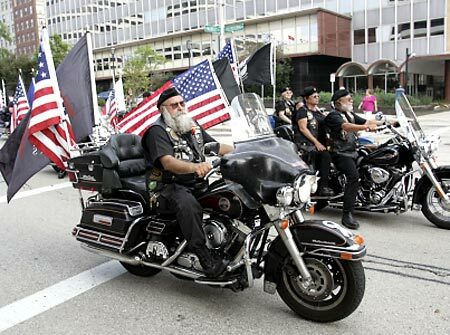 Today I did a parade with Grandpa. 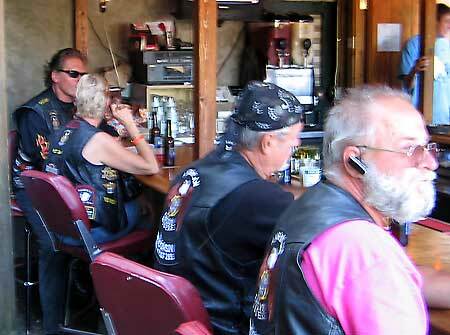 Let me explain what this means. 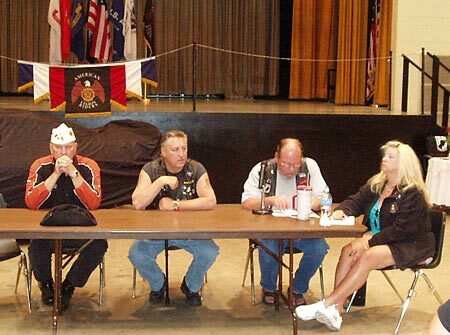 During my last visit to Dallas, when I was visiting Mom's house to identify keep sakes, I found a scrap book that Dad had kept of the family visits to the National American Legion Conventions during the 1930's and '40's. 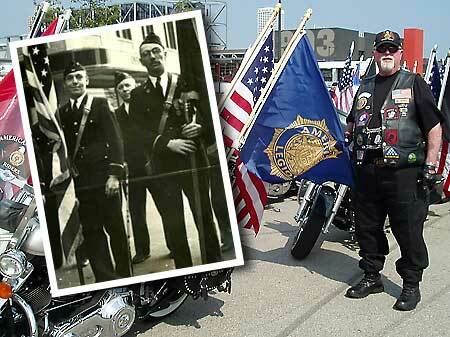 The last entry in the book was pictures taken during the 1941 National American Legion Convention in Milwaukee. 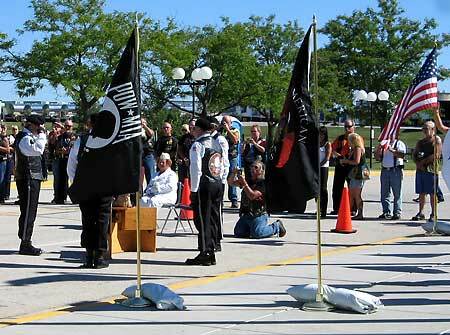 There was a picture of Grandpa staging for his participation in the parade that is held at each convention. 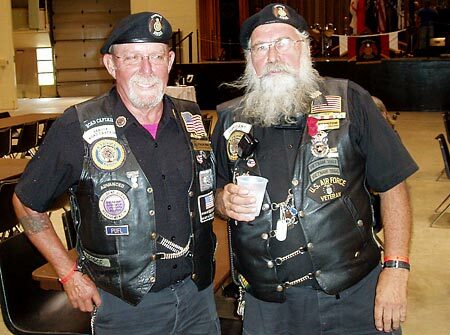 Gramps is the one on the right and he was to carry the American Legion flag. 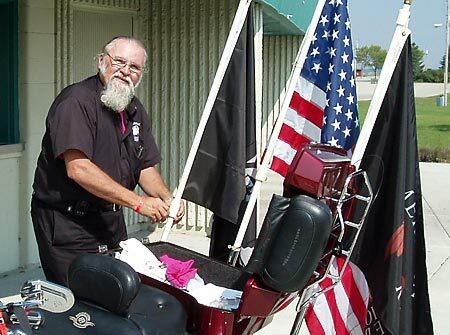 (I make this assumption based on the other person clearly has the American Flag and they didn't have a lot of different flags back then). 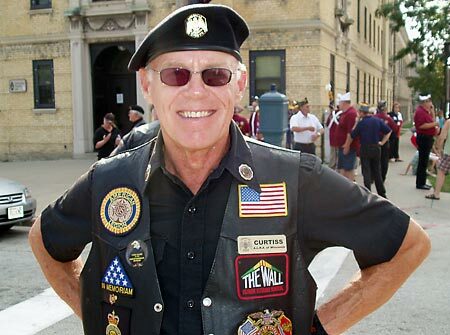 There was another picture in the scrapbook of Grandpa actually marching in the parade but its in very bad shape and can't be scanned. 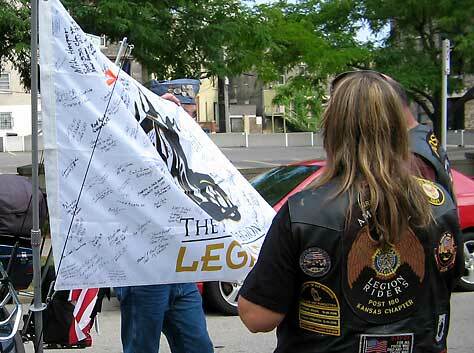 Beginning last Thursday 8-26-2010 the American Legion National Convention is once again being held in Milwaukee. 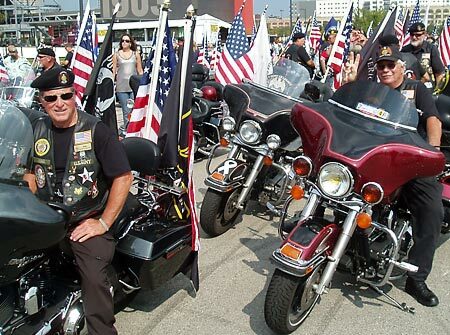 The National Parade was held on 8-29-2010 and the American Legion Riders led the parade, with me in the 4th row carrying both the American and American Legion flags on my bike. 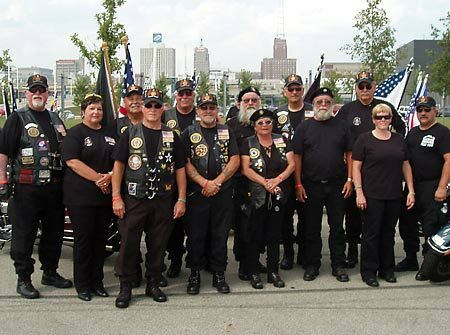 I copied the picture of Grandpa and showed it to anyone who would listen, including the National Legion Commander. 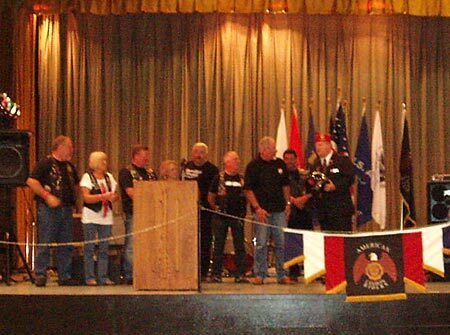 I've been looking forward to this for close to a year and it was a very emotional day...I know Gramps was there with me. 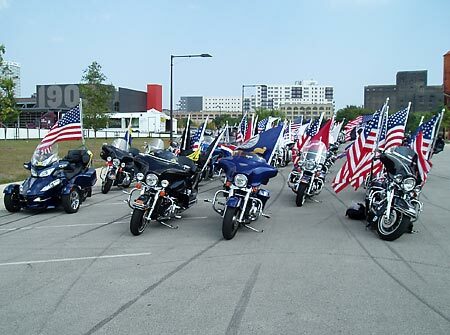 Just thought I'd share.